See what's working for your peers. 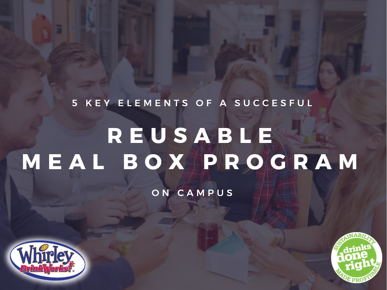 Are you looking to reduce disposables and increase your campus dining sustainability with a reusable to-go meal box program? Or maybe you're currently running a meal box program, but wish it was more successful? We surveyed 30 colleges with meal box programs in place to see what it takes to have a best-in-class program. Download the SlideShare for 5 key elements to making your meal box program a hit.